A cool Restaurant run by a Designer, that has an enjoyable outdoor seating, excellent ambience , serves pretty good Pakistani food & I was told, one cud also smoke a sheesha here. We read about this place & decided to check it out on a not so chilly winter afternoon. I came to know that this place has been designed by & is run by a Designer. While trying to figure out the location, ‘Hauz Rani’ rang a bell & we thought ‘we have seen a bus stop by this name & then we realized, this was bang opposite the famous DLF Place Mall, Saket, right on Press Enclave marg. 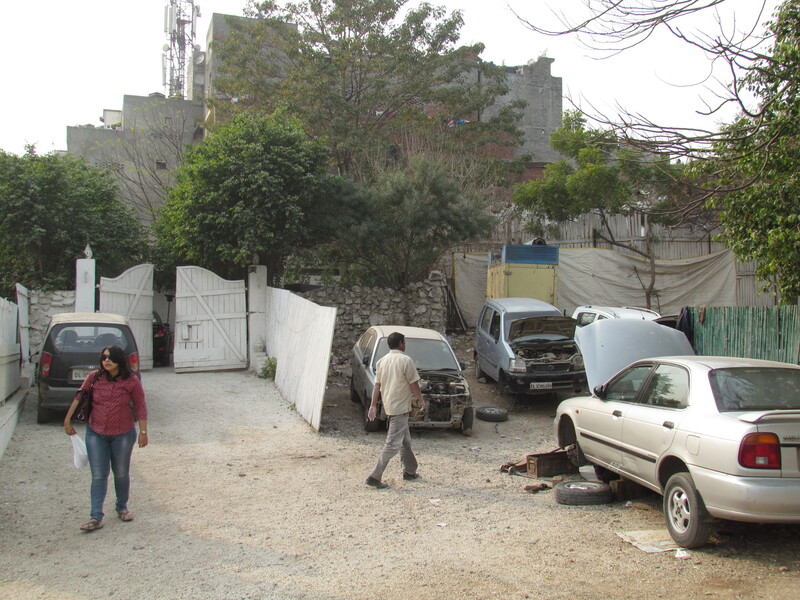 The entrance to Lahori Shah had a car repair garage located beyond a pretty ill maintained parking space in front of a huge Guest House called ‘LAGOONA’. The moment we walked past the garage & entered the white wooden doors of Lahori Shah, it was a different world altogether. 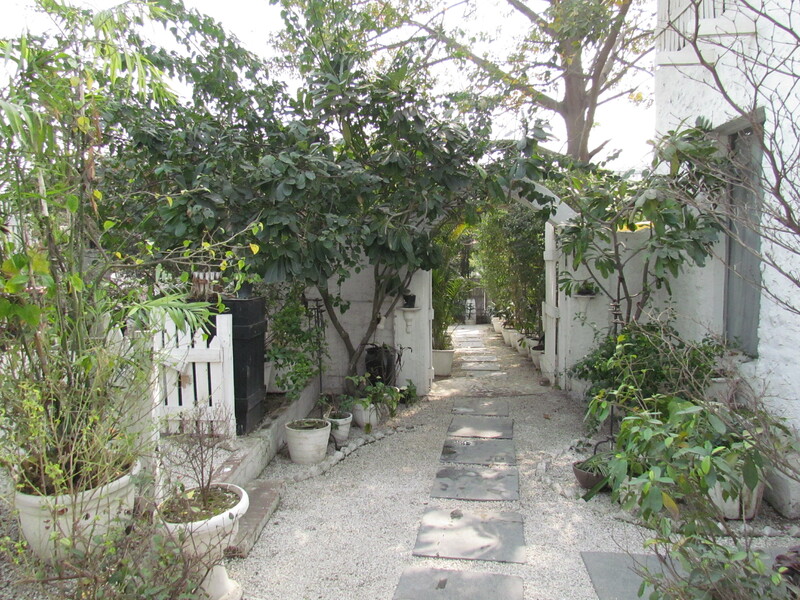 We walked thru a narrow path with plants on both sides & white painted walls. 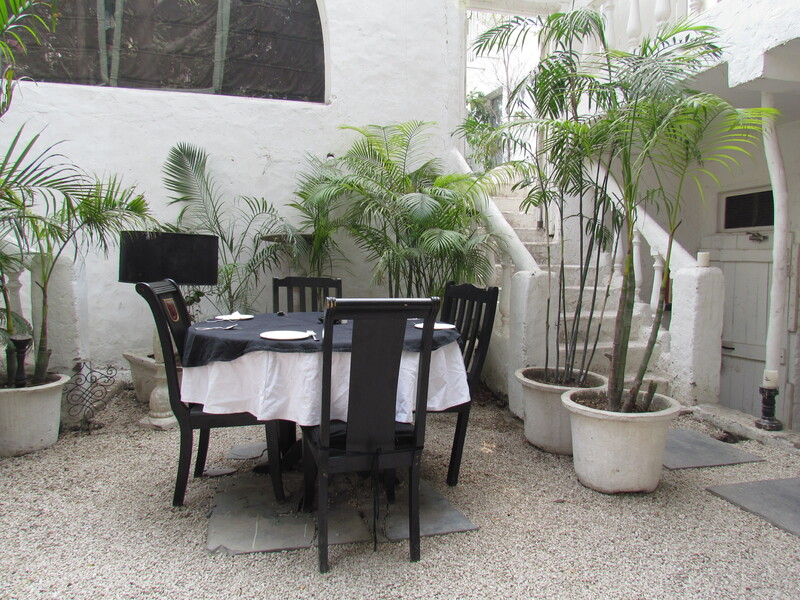 The little walk culminated about 30 steps away & we were in front of a white door – Inside was a low ‘aangan’ (courtyard) that had a huge tree in the middle & nice wooden furniture laid out on a bed of pebbles. There was a bar at one corner & a live kabab station on the other end. Must mention that the loo had the touch of a designer as well – I wud recommend that even if u do not need to, visiting the loo is kind of ‘a must’ if u r at Lahori Shah. The presence of a designer’s aesthetic sense was written all over. I am a big time sufi fan & I loved the fact that they were playing non remixed versions of traditional Sufi Qawallis. Enjoyed every bit of it though I found it to be a bit loud (decibels) for an open air lounge. Towards the end of our lunch the music had however changed to Western, I guess as requested by some of the other customers. The staff was grossly untrained & of ‘bechara’ type – They hardly knew much & were fumbling. 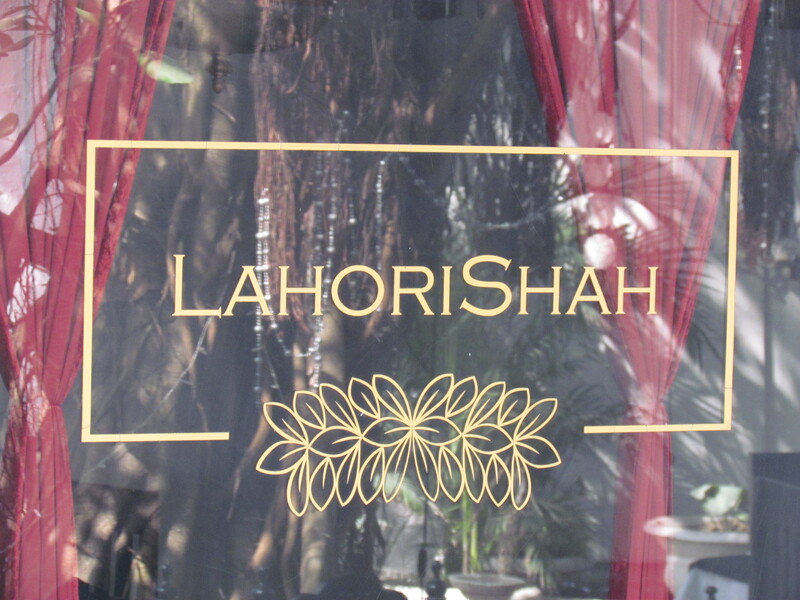 The manager was great to talk to & he positively contributed to our menu selection & our whole experience at Lahori Shah. Must admit that I have not yet been fortunate to go to Pakistan yet to see the remains of the Harappan Civilization or to listen to ‘Duma Dum Mast Qalandar’ sitting at Jhoole Laal’s Dargah. So obviously I have not had the ‘real’ Pakistani food yet, but versions of that in India & the UK. Loved most of the food & the overall experience. Food takes long time to come after orders r placed – coz they seemed to be doing a lot of stuff after order is placed. 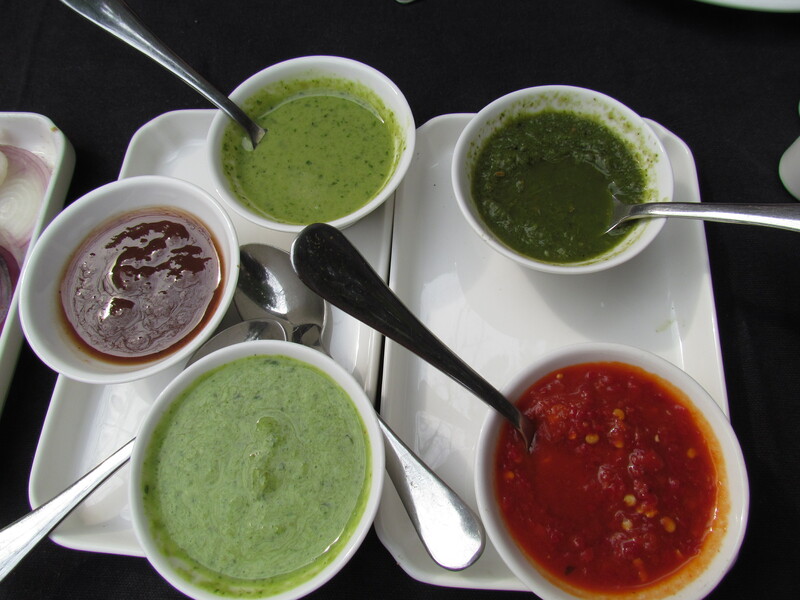 As soon as our order was placed, we were served assorted chutneys. The tamarind chutney was very tangy & nice, the chilly chutney was hot beyond comparison & the green ‘sans dahi’ chutney was just too good. We started our lunch with ‘Lahori Shah ka Khasam Khas Burrah’. According to the Menu card it was ‘Baby Lamb Chaap marinated in ginger, garlic, yoghurt & spices’. What was different in this was the juiciness & the soft but slightly chewy feeling. Much less marinated than the Indian Burrah, this burrah exuded very different but excellent flavours & tasted awesome as well. I wud rate this 4.5/5. Post this we ordered ‘Heera Mandi ki Pyari Seekh’. 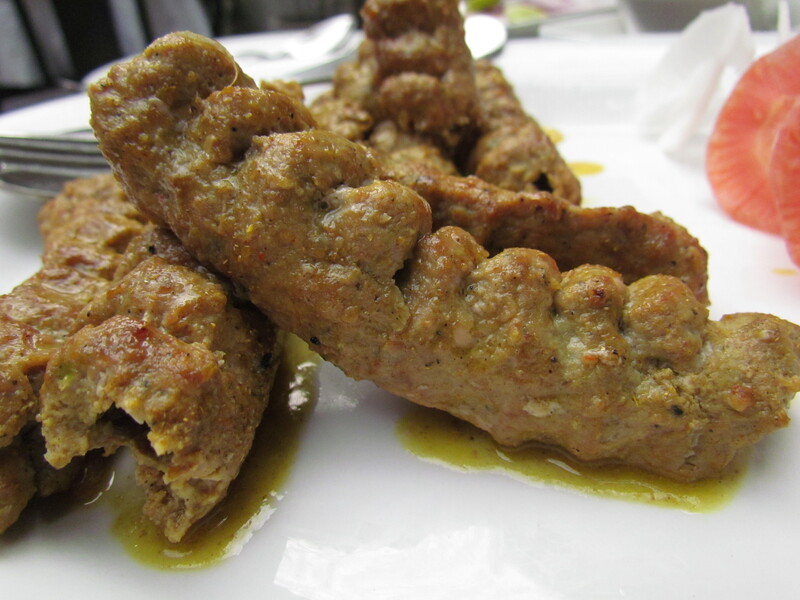 We were cautioned by the Manager that unlike the burrah, this kabab cud b ‘subtle’. We braved ourselves & went in for it. Loved it once again. 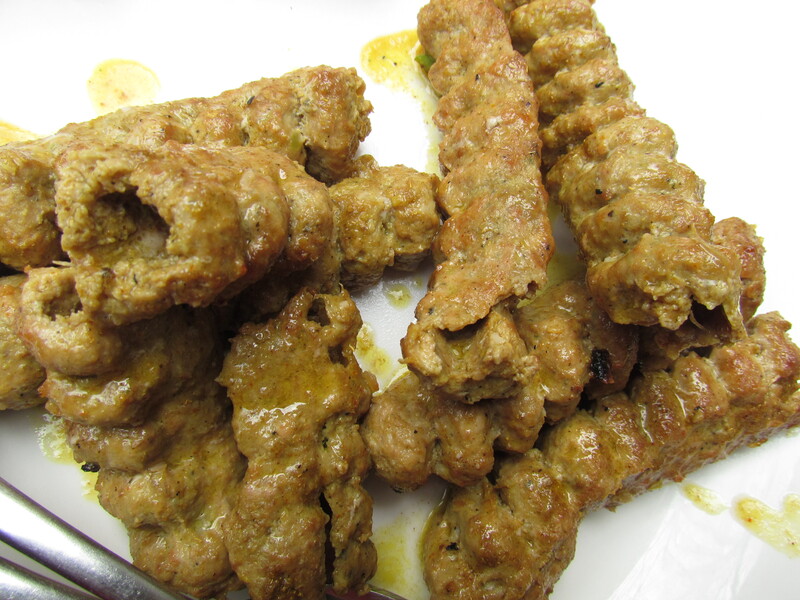 This turned out to be a long sheekh kabab with numerous humps , served after cutting that into smaller manageable pieces. This had an amazing feature as well – The kabab was juicy like the previous one & the ‘juiciness’ came from an intermingling perfect mixture of the mutton juices & spices as they cooked together. I wud give this a 4.25/5. For main course we ordered Anarkali ki nihari about which the menu card said – ‘Mutton cooked in a spicy broth , rich & silky’. 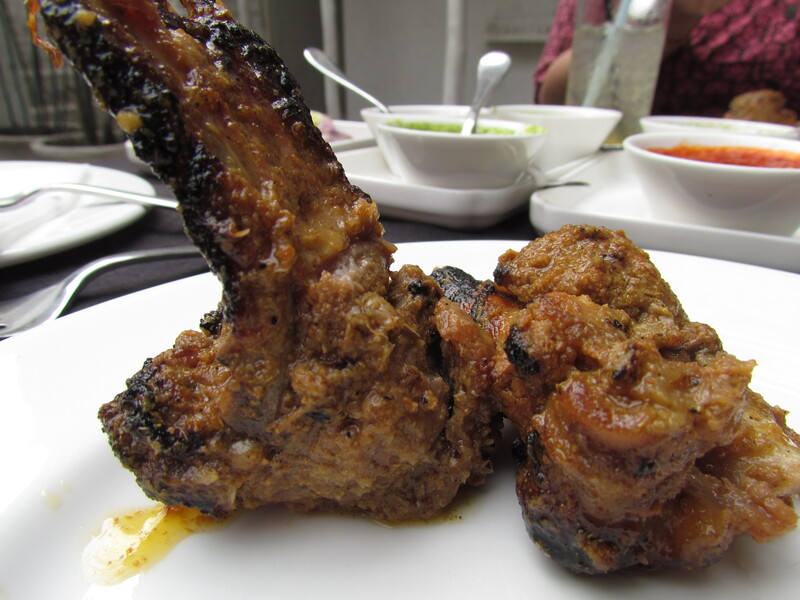 The mutton pieces turned out to be very very soft, the gravy was just too good but lacked salt. We tried sprinkling salt but the dispenser failed to dispense salt. We waved at the guy to give us some more dispensers & those dispensers also turned out to be that way. We then asked the waiter to get us salt in a bowl – by the time it arrived, our nihari was half as warm. Post mixing of the salt, the nihari started tasting wow. I wud give it 1/5 for the pre salt experience & 4.5/5 for the post salt taste. That adds up to 3/5. 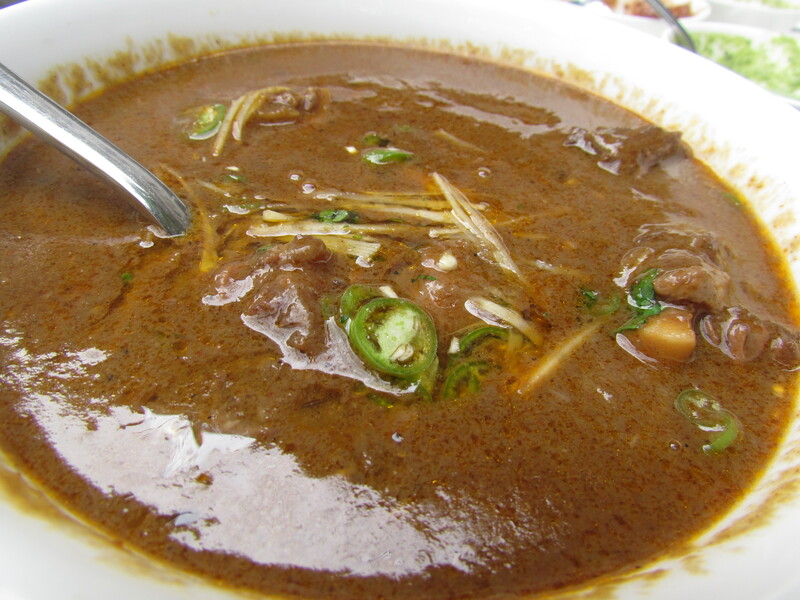 We had our Nihari with an excellent bread called ‘Til chadhe naan’ – made with sesame seeds as teh name suggests. 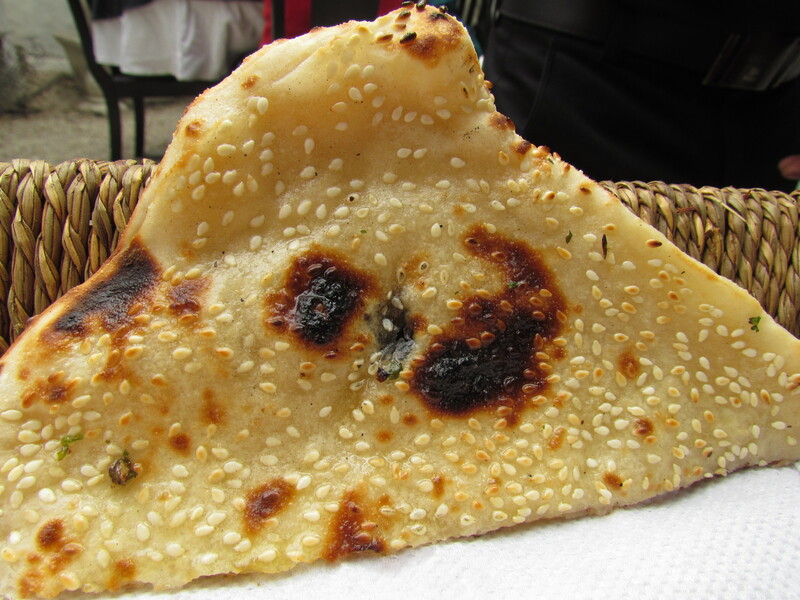 The naan was so good in texture, flavour & taste that we kept munching on parts of it just like that. I wud give this a 4.5/5. We got a portion of Haleem packed for us. It is again a dish with a unique mix of spices, mutton, wheat & lentils. 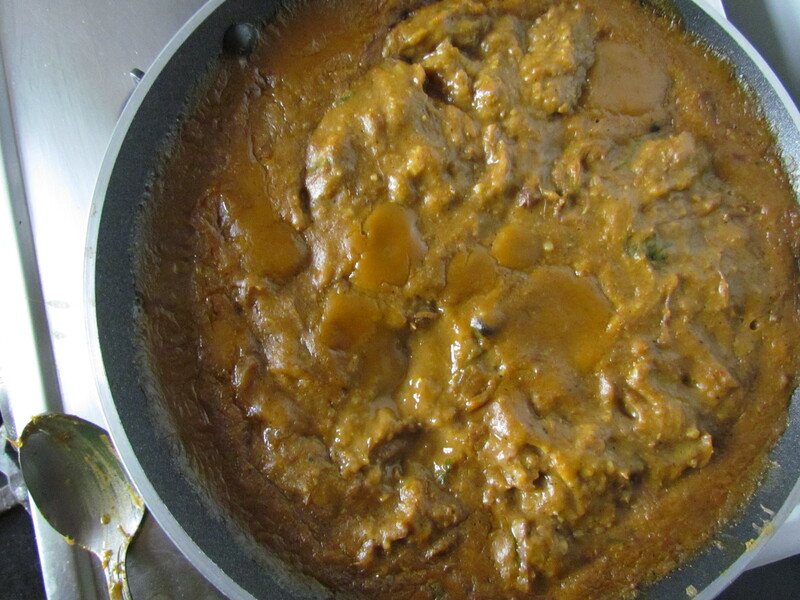 The soft chunks of mutton cud be felt once the haleem landed on the tastebuds. 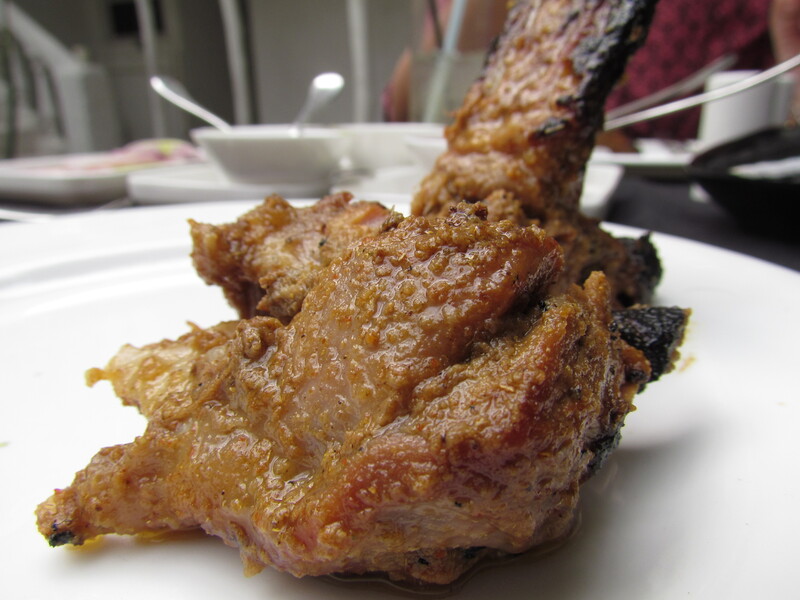 Presence of a whole set of masalas & their cooking together with mutton had given rise to newer flavours. Lentils & wheat added to the thick texture. Loved every bit of this spicy yet not so hot haleem. I wud give this a 4.5/5 again. We washed down all this with an inhouse made shikanji that failed to impress us beyong ‘Good’. So It gets a 3/5. Must mention that it effectively did its job as a palate cleanser. For desserts we had phirni that we were told was made inhouse. Much better, creamier, richer & thicker than the phirni at eateries in the Jama Masjid area. However, the phirni at Kitchen of Awadh beats this hands down. 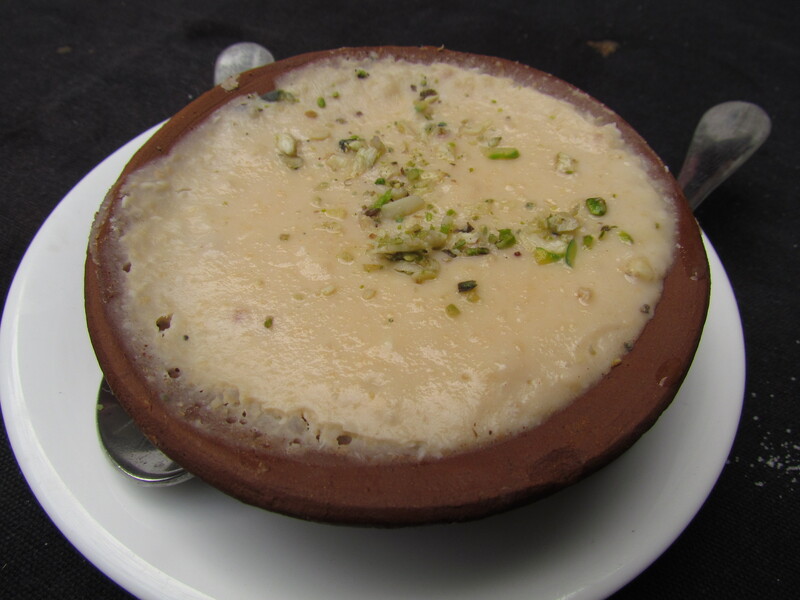 I wud give the phirni at Lahori Shah 3.5/5. Overall ranking for food & Drink at Lahori Shah adds up to 3.9/5 (simple average). 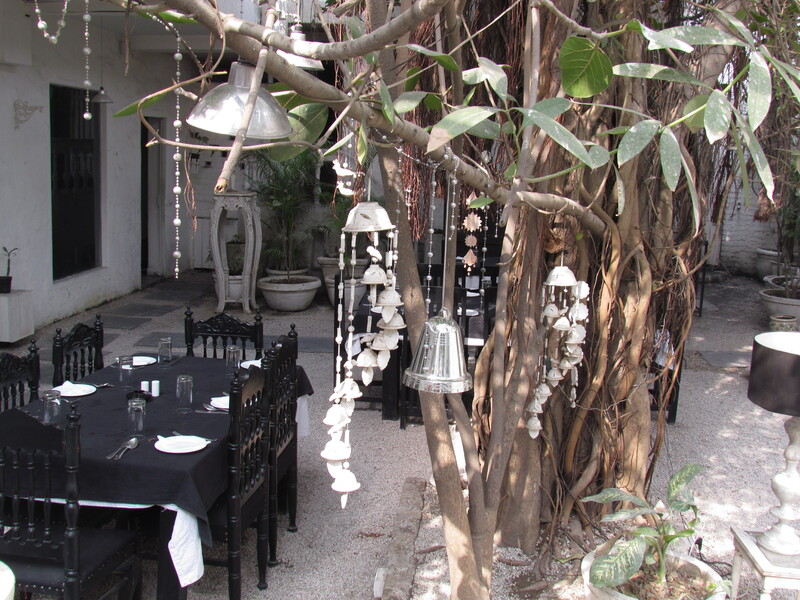 Look forward to revisiting for sure to try their signature dish – Chapli Kabab. Great place to hang out with friends & have good food at the same time at non 5 star prices – Quite a rare combination I must say, in Delhi NCR. Hi Sanjiv, I use a Canon Bridge camera, not a DSLR & have learnt it over time. If u see my earlier posts , say 1 year back, teh pics were not like now. This used to be Banyan Grill earlier! Wow! They ahve changed the entire cuisine now! I have heard they have changed names & cuisines several times. That’s interesting but they r now doing a good job. How was ur experience at Banyan Grill? Hi, great review…very detailed and the photos are very inviting. Would be simply wonderful if you could mention prices – at least of the dishes you had ordered – as well. Hi Tanmoy, I usually avoid doing that as restaurants keep changing prices & offers. People go with an expectation & get dissappointed & write back to me. Worst Food with worst choice of varieties. i.e. half of Menu options unavailable. I went with my girl friend on 08th June,2013 Saturday evening. we were the only customers there. Kulfi was tasting bad as if salt was mixed in it. Kindly share the dishes u ordered so that the readers of this post can be cautioned. I ordered starter Peshawari Khas Tangri. It was denied being not available. I ordered kabuli wala ki Daal. Again not available. I asked about Phirni in dessert. again not available. In the end I have to order Tandori Chicken and Ji hazoori ki sheekh in starter. In Main Course Korma Karanchi and Gandana Ka saag. In dessert Gulab Jamun and Kulfi. My girlfriend got angry with me after the dinner on saturday after having the food in Lahori Shah. Readers please avoid the place.